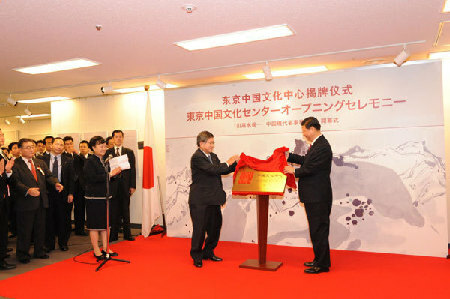 On Dec. 14, 2009, Chinese Vice President Xi Jinping and Takahiro Yokomichi, Speaker of Japan's House of Representatives, attended an official launching ceremony of the Tokyo China Culture Center, a showroom which is aimed at providing information on China and hosting various cultural exchange activities. As the second Chinese Culture Center in Asia, the center would serve as a new window onto Chinese culture and a new bridge for mutual understanding. Cultural exchanges can never be one-way and that the Chinese Culture Center will be a window for the Japanese people to understand China and a bridge for friendship with the Chinese people. 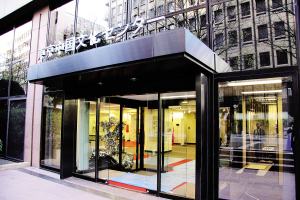 The Chinese Culture Center in Tokyo will offer a variety of activities, such as exhibitions, forums, training classes on Chinese culture and other activities.